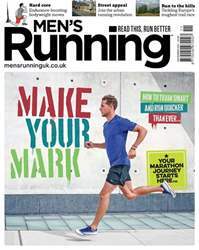 The November issue of Men’s Running is all about training smart: whether that’s tailoring your sessions to suit your body type, learning to make the most of your urban environment or discovering the most cost-effective events, this issue is packed with content to help you reach your full potential. Elsewhere, we’ve got some stunning, run-envy inducing destination races. Run-reporter Arko Hojholt travels to the pristine Swiss Alps for the Inferno Half: a half marathon with a sting in its tail. Damian Hall, meanwhile, has been kept busy: first, trying his hand (or feet) at the quad-wrecking discipling of skyrunning, before troubling the crème de la crème of ultrarunning at the Ultra-Trail du Mont-Blanc (UTMB), the world’s premier trail race. Of course, we’ve also got exclusive kit reviews, tech roundups and inspiring interviews to maintain motivation this winter.